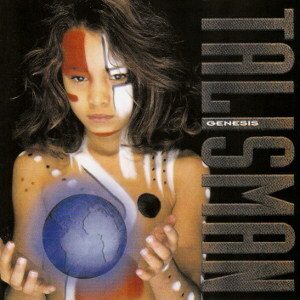 It took me a while to appreciate Talisman to their full extent. And while I started off focusing strictly on vocals, I gradually got hooked on every track. We’re talking first class Melodic Hard Rock, superb musicianship AND songwriting, (at least) half the album is catchy beyond belief. That’s why I feel that Jacob who wrote almost everything -JSS’s contribution was limited to lyrics I believe- will be remembered as a composer more than a bass player. Any person who comes up with a HUGE riff like “Mysterious (This time it’s serious)” is a pure genius! That song gets a straight “10”. Easily! There are no weak moments here, but you may want to check “Give me a sign”, “Time after time”, “U done me wrong” and “Comin’ home” first – in that particular order. The second disc contains (mostly) demo versions and/or rough takes. Nice bonus but nothing to lose your sleep over. Nonetheless, the early form of some songs [different lyrics, solos etc] makes it interesting – that and Matti Alfonzetti. I love this album… I actually own it, but it’ll be great to have the remastered version. Thanks, this blog is awesome! Keep on Rocking.